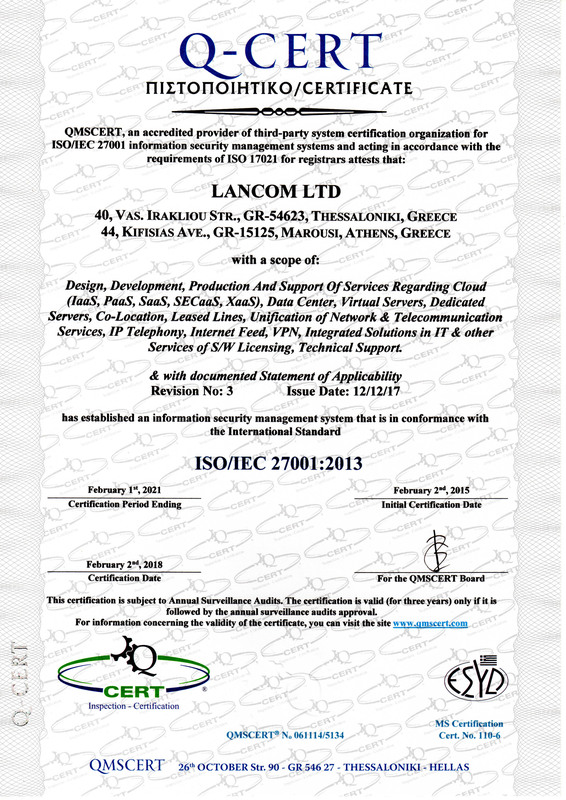 Lancom emphasizes in quality, reliability and safety of services offered. 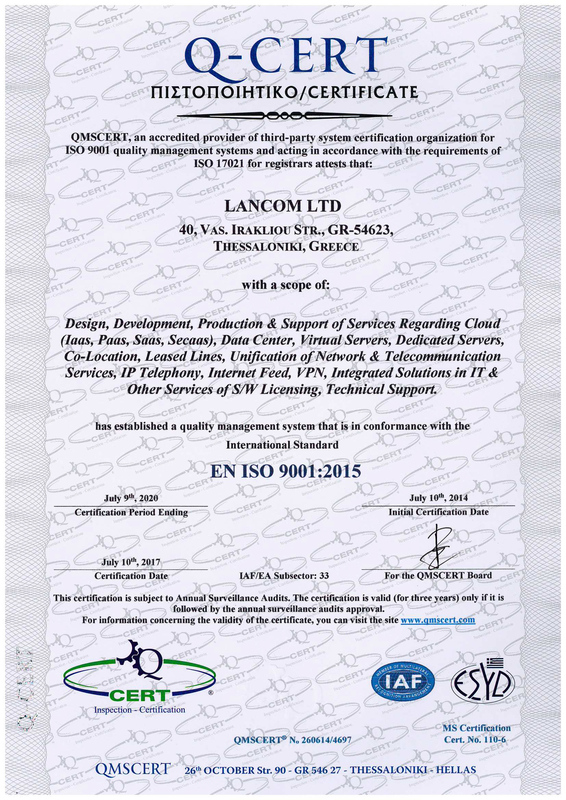 Applying international standards requirements for data quality and security, Lancom is certified by ISO 9001:2015 and 27001:2013, respectively. 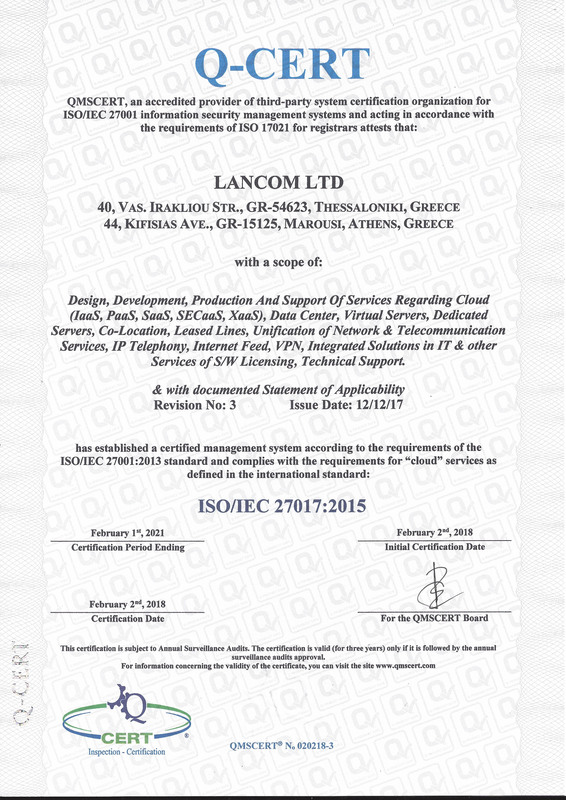 The latest addition is the extension of ISO 27001 to ISO 27017:2015, which relates to data security specifically for Data Centers.